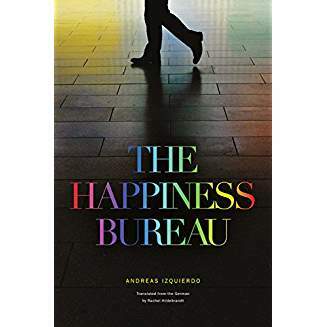 Andreas Izquierdo’s The Happiness Bureau centers on a government employee, Albert Happy, whose tenderness may just redeem the role of bureaucracies. Happy is a decades-long employee of the Agency of Administrative Affairs; he runs the request department with consistency and reliability. He is a star employee, if only for adherence to the rules. He also lacks any social life or family. Happy is enthralled with structure and routine, as well as the grace of finite lines in black and white. He has absolute faith in paperwork, too. One single interruption sends Happy down a new path toward courage, love, and a life without boundaries. Izquierdo cleverly constructs Happy’s story. He somewhat pitiably lives in a basement room of the Agency, and his only pleasures are savored pieces of a chocolate bar, a soap opera, and dinners gleaned from the cafeteria’s provisions. Then an unknown form, E 45, winds up on his desk. Not recognizing the form or knowing what it is for, Happy battles sleepless nights and the distinct possibility that he might have to leave the building to find out more. Izquierdo delves deep into the subtle nuances of Happy’s story with poignancy, elevating The Happiness Bureau above usual government employee tropes. Happy learns to accept and answer his desires despite the demands of the bureaucracy he so reveres. When the system confounds him, he decides to make up his own rules in order to help others. A solid plot with skillful twists anchors the story and allows for full character development. Lively prose carries attention, along with observational metaphors and similes; they stand out in large part due to Rachel Hildebrandt’s crisp translation. The Happiness Bureau is a sweet and touching novel, both romantic and inspiring. It is nearly prescriptive about taking chances, showing that bureaucracies are what we make of them, not what they make of us. 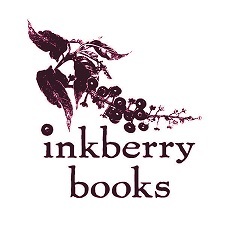 The Happiness Bureau, Izquierdo’s 2015 German novel, translated here by Rachel Hildebrandt, is an entertaining and heartfelt story of self-discovery amid a sea of paperwork. Middle-aged Albert Happy is content as a clerk in the Agency for Administrative Affairs. He spends his days distributing forms and processing requests in a massive bureaucracy, and he revels in the simplicity and uniformity of his duties. Albert is an expert at navigating the governmental system; he knows all of the agencies, departments, and their associated forms. When an unfamiliar form repeatedly lands on his desk—despite his efforts to dispose of it—Albert resolves to discover the source of the mystery. Upon meeting the author of the request, an eccentric artist named Anna, Albert’s concrete and orderly existence dissolves into an unpredictable and colorful world that tests his boundaries both physically and emotionally. There is a cinematic quality in Izquierdo’s writing, and his renderings of the machinations of office life are lively and humorous. This touching and intimate literary drama will appeal to readers who enjoyed Graeme Simsion’s The Rosie Project or Helen Phillips’ The Beautiful Bureaucrat.